We can't deny that great things are happening with wallpaper these days. Bold graphics, chic geometrics, fabulous florals and unique textures are enough to make us forget the froo-froo patterns of the 90's. One of the best places to utilize wallpaper is the powder room. Small spaces can really pop with with a geometric print or a funky floral. Read on for some of our favorite wallpapered powder rooms . 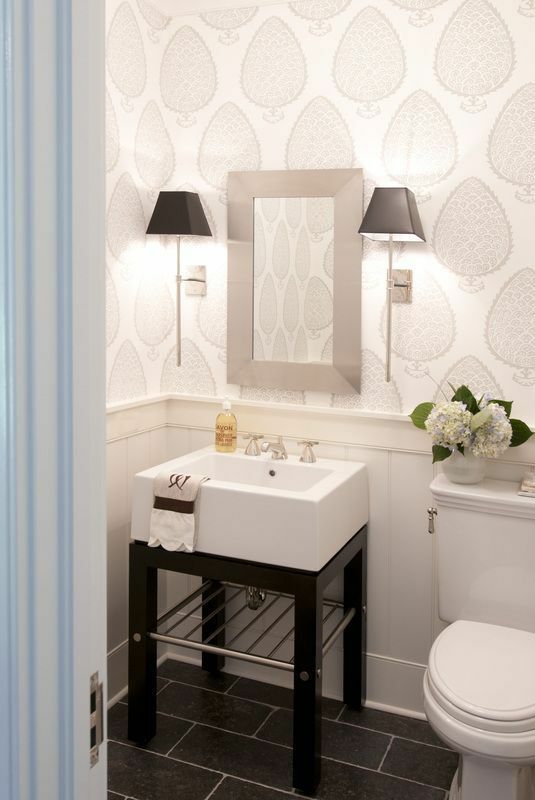 . . Graphic, neutral, and textural, this powder room packs a chic punch with a large scale pattern. You can't go wrong with grasscloth. Hang it horizontally or vertically for a simple and sophisticated look with some great texture. This sweet floral wallpaper is soft, subtle and so very pretty. The floral wallpaper patterns available today are feminine, yet modern and chic. 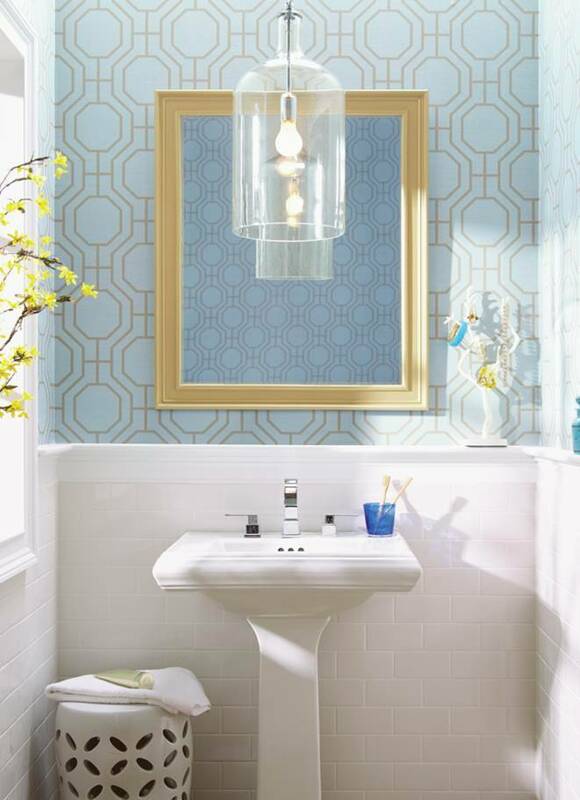 Bold geometric prints in a soft, neutral palette like the one below make a stylish statement in a powder room. In a small space like a powder room, you can afford to be a little more playful with pattern. Much like the black & white dalmatian inspired wallpaper below. Tone-on-tone wallpapers in large scale patterns like the one below are so chic and lovely. Chinoiserie is always a good idea. For a more modern take, try it in a playful pattern, color or metallic. If you're afraid of a permanent commitment to wallpaper, there are truly great choices in the way of removable wallpaper. Sites like Chasing Paper and Graham & Brown offer many beautiful options for those looking to add interest to their walls, but fear the permanence of the pattern.